Scent: Fresh, earthy, eucalyptus-like with woody and subtle peppery notes. Action: Antibacterial, anticatarrhal, antifungal, antispasmodic, anti-infectious, antirheumatic, antiviral, decongestant, cicatrisant, expectorant, general immunostimulant, neurotonic. Benefits, Indications: Another “universal oil” like Lavender because of its many uses. Influenza, shingles, colds, flue, herpes, rheumatism, supports the immune system, stress, depression, calms the nerves, promotes sleep, muscular aches and pains. 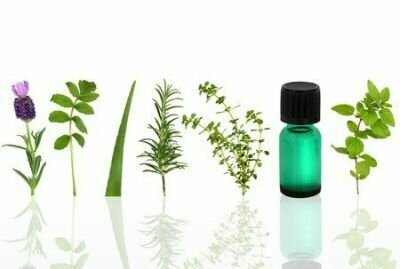 Ravintsara can be used safely in place of, or accompanying Eucalyptus oils in all their applications. It is well known for its sinus clearing effect making it a great choice for any upper respiratory treatments, especially environmental use, due to the pleasant aroma. Also a great addition to your morning stimulating, or detox, lines, where the aromatic impact is energizing and uplifitng. Precautions: Always test a small amount first for sensitivity or allergic reaction. If pregnant or under a doctor's care, consult a physician. Those with epilepsy are to use with caution.